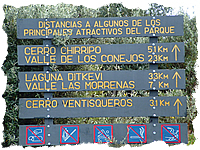 Useful information for all people who will be hiking the Chirripó National park. 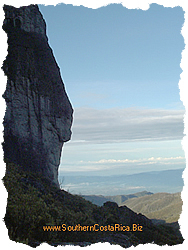 Chirripo National Park is the highest mount in Costa Rica. 1. 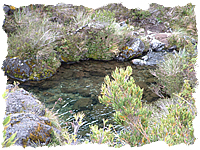 When you are in the Chirripo National Park, we require that you respectfully oblige the public officials of the Chirripo park, as well as the visitors, (muleteers), guides and porters. 2. You can reserve a space in person. The following pages on the right hand side will help you. The maximum time to stay in the Chirripo park is 5 days. You cannot reserve space for more time. The maximum quota per day of people staying in the park is 40. 3. All visitors, without exception, should report their presence in the Chirripo park office in San Gerardo de Rivas in order to sign the visitors registration and present the receipts that you have paid according to the rules of the Chirripo park. The park administration is not responsible for people who enter without respecting the procedures, and those who do not follow authorized routes. 4. Hours: For Chirripo reservations 8:00 AM to 12:00 noon at the regional office in Perez Zeledón. For public affairs and to report your entrance: 6:30 AM to 4:30 PM in San Gerardo de Rivas. May 2nd reserves the months of June and July. July 1st reserves the months of August and September. September 1st reserves the months of October and November. November 1st reserves the months of December and January. 6. Throughout the whole year, you can rely on the service of the porters. - Y los que comuniquen estos lugares entre si. 8. The hike to Chirripo should begin before the 9th meridian, when you leave San Gerardo. 9. Day visits to the Chirripo Park: Always comply and respect the rights of admission and the rules. People who do not have reservations or do not have time available can hike the primary trail, but only until they reach Llano Bonito, where they should begin their return. 10. Your stay at the Llano Bonito refuge cannot last more than 12 hours. This refuge is for temporary use or in the case of emergency or through necessity. A longer stay at the refuge requires written authorization from Chirripo Park Officials. 11. Camping in Chirripo is only allowed in designated areas or Base Crestones. You are not permitted to use the rivers or lakes for washing clothes or for personal hygiene. Also, there is no swimming in the rivers and lakes. Remember that the water is very cold and at this elevation, a sudden change in body temperature from submersion in the water can cause paralysis and respiratory problems. The nearest hospital is 55 km from San Gerardo, not including the descent to San Gerardo; for this reason you should not expose yourself to unnecessary dangers. 12. While on the trail, do not throw candy, cookie, or chocolate wrappers on the ground. Keep garbage with you, and later deposit it in garbage bags. If you encounter this type of material on the trail, please pick it up (animals will confuse it with food) and deposit it in the garbage cans. This will give you a clean conscience and serve as an example to others. 13. Visitors should take the garbage out and deposit it at the Chirripo park office in San Gerardo, and properly separate and identify metal, glass, plastic, and biodegradable items into plastic bags that you should bring with you on all your visits. 14. You are not permitted to bring to the Chirripo park domestic or exotic animals, such as cats, dogs, birds or rats, nor introduce vegetation from outside of the Chirripo park. 15. You are not permitted to take out rocks, bones, vegetation. animal remains, minerals, fossils, etc. 16. It is absolutely prohibited the hunting or trapping of fish, birds or insects. 17. Inside the Chirripo park, the carrying of firearms or other hunting gear is not allowed. 18. Playing radios at high volume is not allowed. 19. Marking, painting, or drawing on the rocks is not allowed. The same with the refuges, installations, signs, and trees. Neither is the cutting or grafting of the trees. Your stay in the park will be registered in the visitor's logbook at the peaks of Chirripo, Terbi and Ventisqueros. Do not forget to bring a pencil or pen. 20. You are permitted to use the high mountain trail between 6:00pm and 10:00 pm. You should report your itinerary to the park officials. 21. Before you make your travel plans, report to the park officials. They will give you recommendations, warnings and information that you will be able to use for a safe and agreeable visit. As well, we will be able to serve both the movement of our visitors and be able to help in case of emergency, in an effective and expedient manner. Those who do not comply with the established regulations can be expelled from the park and/or be put into the custody of local police. 22. The practice of free climbing with ropes, repelling or other related activities will only be permitted at Los Crestones. To obtain permission, you need to be able to demonstrate knowledge and experience; furthermore, you should present your safety equipment for all the people involved. 23. Do not leave the trails; this will cause you to get lost. Furthermore, do not harm the vegetation on the forest floor in the high elevations. -Use of the installations: $30/ day. After you make the deposit, you should send a copy of the receipt to the fax.2771 - 32-97. Don't make a deposit without having made first the reservation by phone. After making the deposit, money will not be returned. Note. A maximum of 5 spaces is reserved by person. Warning: Be careful! Don´t pay resale, the official prices are here; many people want to get more money from you, but do not be fooled by them. Season of Reservations to Chirripo National Park. 1st of July reserves the months of August and September. 1st of September reserves the months of October and November. 1st of November reserves the months of December and January. 1. It is recommended that you begin your ascent between 4am and 5am. This allows you to begin your journey during the cool part of the day before the sun gets too hot. Remember that the first part of the journey includes pastures where the sun, dust and, thirst can affect walking. 2. For safety reasons, admission of visitors to the Chirripo park for Hiking is not allowed after 9pm. If you were to begin after this hour, it would mean that you would be on the trail after dark and it is difficult for us to be able to help in case of emergency. Do not take risks and involve other people (park officials, porters and other visitors) in difficult or dangerous situations. 3. Estimated time for ascent ti Chirripo park. San Gerardo-Base Crestones; between 6-10 hours with backpacks. Without backpacks, less time. It is estimated to take 4-6 hours to the halfway point, Llano Bonita, where you will find drinkable water, latrines and shelter. 4. Estimated time of descent from chirripo. Base Crestones - San Gerardo; between 5-7 hours. The descent should begin before 1pm; this will guarantee daylight for the trip down. 6. Elevation of principal places of interest in the Chirripo National Park. 9. Precaution in Chirripo National Park: When you realize that you are walking through a burned zone and green forests, remember that the wind and rain can cause the branches and rocks to fall. For this reason, be attentive when you hear strange noises and be careful in these situations. It may be necessary to go back or postpone your exit for a time when the conditions are favorable. 2. The cooking and heating of food is only permitted in the Chirripo refuges. You are not permitted to use firewood or other combustibles such as gasoline, kerosene, etc. 3. Sleeping bags and clothing must be adequate for cold temperatures that occur, especially after sunset. 4. Plastic bags are very good for protecting delicate equipment, clothing for sleeping, stationary etc. from the rain. Furthermore, the plastic bags can be used to store your trash collected during your stay at the park. 5. We suggest you bring both long and short sleeve shirts, as well as good hiking socks for the high elevations. 6. For the dry season (Jan.-April), it is preferable to wear shoes suitable for long walks in the mountains and a hat for protection from the sun. 7. For the wet season (May-Dec.), do not forget to bring raingear and water proof boots. 8. Try to bring a complete change of clothing to use exclusively at the refuge, and another change of clothes for hiking. This will ensure a dry and warm sleep. 9. For the ascent, do not carry more than 14 kilos (30 lbs.). If you do it is recommended that you use the porter service. It will allow you to enjoy the passage as well as photograph and observe nature. 10. Always carry with you; notebook, pen and pencil, flashlight. 11. THE GOLDEN RULE OF SAFETY: Each person should have a backpack. Each back pack should contain the same things: flashlight, toilet paper, water, chocolate or granola, bread, a coat, and a first aid kit. You can include other things you wish to bring, but your backpack should be as light as possible. 1. People with illness, recent dental work or other severe injuries are recommended not to hike to Chirripo National Park. It is preferred that you wait until you are healthy. 2. We ask that if a person has one of these types of problems, please inform Chirripo park officials before the hike so that precautionary measures can be taken. Thank you. 3. Do not abuse alcohol. Liquor affects the body differently at high altitudes. 4. 3200 meters above sea level is a critical altitude. Some symptoms may occur such as nosebleeds, mucous secretions, cold extremities, and increased urination. All these are considered normal symptoms. If you experience symptoms such as illness, vomiting, headaches, difficulty breathing and cold skin, it is recommended that you descend as soon as possible. These symptoms can be a sign of oxygen deficiency and can harm the functions of the body. If necessary, you can take analgesics, drink warm beverages and wear the warmest clothing possible. If you are in with this situation, inform the park officials immediately. 5. After you begin the hike, apply petroleum jelly liberally to dry parts of the body. This can lubricate and prevent blisters forming from friction. Furthermore, in the event of rain, it can create a barrier from the water and help maintain warmth. 6. Protect your body from the sun, wind and cold. Do not forget protection from the sun, sunglasses and lip balm. At the end of the day you may have dry skin, irritated eyes and cracked lips. The first aid kit should have medicines to prevent and control the following problems and illnesses. -Stomach problems -Wounds -Blisters on the hand and foot. You should also bring medicine you take regularly for any other ailments that you may have. -When possible do not bring food in heavy cans or glass jars. Try to eliminate any unnecessary weight for your trip. -Plan a good breakfast with chocolate, cereal or whatever food that is easy for you to digest. Dinner can be soup (vermicelli, rice or pasta), dehydrated mashed potatoes or whichever food that is easy to cook. For lunch, plan something light that you can prepare on the trail and will be easy to transport, like cookies, juice, granola, bread, cheese, nuts, and fruit etc. -Bad food planning results in excess cargo being carried up the mountain. This is a waste of time, energy, and money. It is common to pack too much salt, sugar, pasta, rice and bread. Revise your list of food and adjust adequately. -Bring foods rich in calories and sugar to maintain the function of the body, maintain energy, and maintain oxygen levels. Easting fresh carrots, grapes and raisins during the hike can give you vitality, reduce thirst and help digestion. -Nuts like peanuts, almonds, macadamia and sunflower seeds are a good source of energy. They give you sugars, fat, protein and minerals the body needs and are easy to digest and transport. Include natural sugars (not refined) like tapa dulce and honey. These give you energy with out digestion. They also contain natural antibodies and have properties that protect the lungs in case of reperatory problems. -We also recommend that you bring cinnamon tea which can heat the body when it is cold and refreshes when it is hot. It is a good substitute for coffee and a digestive remedy, and helps in case of vomiting. -To prevent dehydration and to obtain salts and protein bring beverages like “Gatorade. -If you wish to bring supplements, vitamins and minerals, you should consult you doctor first; and try to bring natural products. 1. The dry season (Jan.-April), when there are the most visitors, coincides with the most dangerous conditions and a major risk of forest fires. Because of fires the park has suffered, there are sacrifices that have been made so that thousands of people can enjoy the singular beauty of this park. The fires have been caused by visitors that litter glass or cans that concentrate the light of the sun until it produces fire. The Chirripo National Park wilderness is the most extensive in Costa Rica and at the same time is the most altered. With an extension of nearly 60km this wilderness does not offer the natural conditions that existed before the first fire. The pattern of damage occurred in the following areas. - Do not build fires anywhere in the Chirripo park. - The use of fire wood is not permitted for cooking. -Do not use gas stoves outside of the refuge. The strong wind can facilitate the ignition of the surrounding vegetation and result in an ecological disaster. No cooking outside the refuges. - If you wish to smoke, do it only in the refuge. People that smoke on the trail create a risk of fire. -Do not leave cans or glass bottles because they can act as magnifiers for the suns light and create fire in the finer vegetation. -If you observe people with dangerous or risky actions, remind them to be careful and respectful. -If you observe signs of smoke or fire danger report it immediately to park officials and use tools or equipment that you have available to stop it. -Your help is fundamental. Become a spontaneous volunteer. 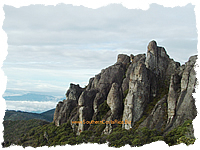 - This trail represents a challenge and brings you face to face with nature; strong winds, walking on sharp and pointed rocks and camping in unfavorable places and, at times, in rain. This trail was developed to form a loop for people in excellent physical condition and knowledge of mountaineering. Because of the conditions, this is the only trail where tents are permitted. The Chirripo refuge has a maximum capacity of 15 people. - Using this trail requires a local guide. Without a guide, the journey can be very dangerous. The administration is not responsible for the safety of people who decide to use this trail without a guide. The trail requires excellent physical condition, knowledge and specialized equipment. These guides represent a function of the park. They have received certification and adequate information in the prevention of injury and the attending of emergency situations. -As functionaries of the park, they have authorization and autonomy to control anomalies, and guarantee the integrity of the natural resources. -To use this service, you should make reservations for space and pay in advance for the right to camp and use the installations.